Bump Via The Ghetto (Hosted by DJ ill Will & DJ Rockstar), the latest mixtape from California Cush, which dropped on Monday, August 1st, 2011. California Cush's horizons are broadening with each new release, and Via The Ghetto (Hosted by DJ ill Will & DJ Rockstar) is no exception. It's a worthy addition to a catalogue that has seen much growth since California Cush stepped foot in the rap game. We're looking forward to hearing more. The following artists are featured on the project: Ya Boy, Kid Ink. Have you heard California Cush's Automatic (Prod. By Jahlil Beats)? 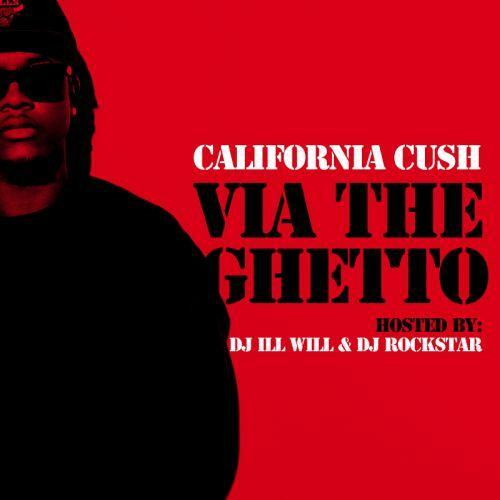 Hit up California Cush's profile page for the latest info, news, songs, and mixtapes. Check out California Cush's Twitter.